Undated photo of Charles Zigler, whose mummified body was found in his friend's home on July 6. A 72-year-old Michigan woman who authorities say kept the body of her longtime companion in her house for more than 18 months after he died is being charged with cashing more than $28,000 worth of his benefit checks. The Jackson County prosecuting attorney’s office on Wednesday issued a warrant charging Linda Lou Chase with two counts of forgery. The mummified corpse of Chase’s 67-year-old housemate and companion, Charles Zigler, was found July 6 seated in a chair in the house. Jackson, Mich., police went to the home after getting a 911 call from one of Zigler’s relatives who became concerned after not being able to contact him. An autopsy determined Zigler died of natural causes -- chronic obstructive pulmonary disease. 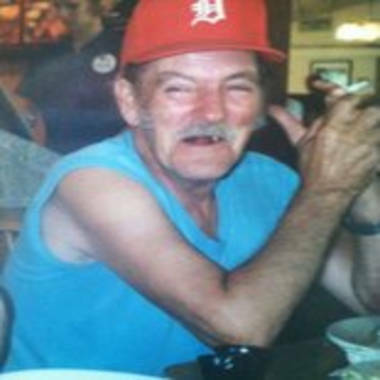 Police believe Zigler died around Christmas 2010 and his body had been left decaying in a cloth recliner chair in the living room since that time. Prosecutors say Chase forged Zigler’s signature and cashed his monthly Social Security and pension benefits after his death. They also still are investigating whether he may have been receiving veterans’ benefits, too. Though the maximum penalty for forgery is 14 years, it’s unlikely Chase will spend any significant amount of time – if any – behind bars because of her age and health. “There’s no chance at all she get that kind of sentence. It’s a practical impossibility in this case,” Mark Blumer, Jackson County chief assistant prosecutor, said Thursday. Chase will not be charged in connection with keeping her boyfriend’s body in her house for more than a year and a half. “We researched the law in Michigan and found out there doesn’t appear to be statute that appropriately covers what she did or didn’t do with respect to the gentleman’s body,” Blumer said. Most of Michigan’s current laws concerning bodies deal with inappropriate disposition by a licensed mortician or removal to interfere with a criminal investigation. “She literally did not move the body – so moving a body before the medical examiner could examine it doesn’t apply,” Blumer said. Once a judge signs the warrant, Chase will be arrested, brought before the court and arraigned. A date for a probable cause hearing would then be set. “This is a sad and unfortunate case on many fronts,” Zavislak said.